[Johan] has slipped down the rabbit hole of making musical instruments. His poison? Laser harp MIDI controllers. Having never made one before, he thought he would start small and then iterate using what he learned. 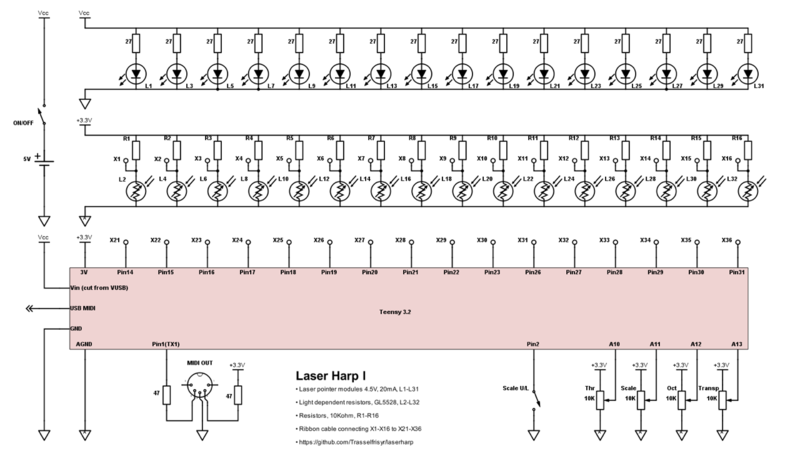 Fortunately for us, [Johan] documented the process over on .io, essentially creating a step-by-step guide for building a simple but powerful 16-note laser harp. Laser Harp I is built around a Teensy 3.2 and, of course, lasers pointed at LDRs. [Johan] used fairly low-power laser modules, which are slightly less blinding if you accidentally look at them for a second, but should still be taken seriously. He added four potentiometers to control the sensitivity, scale, octave, and the transposition. The sensitivity pot essentially accounts for the ambient light in the room. Although it only has 16 notes, Laser Harp I is ready to rock with over 30 different scales to choose from. Check out the brief demo that [Johan] put up on his Instagram. 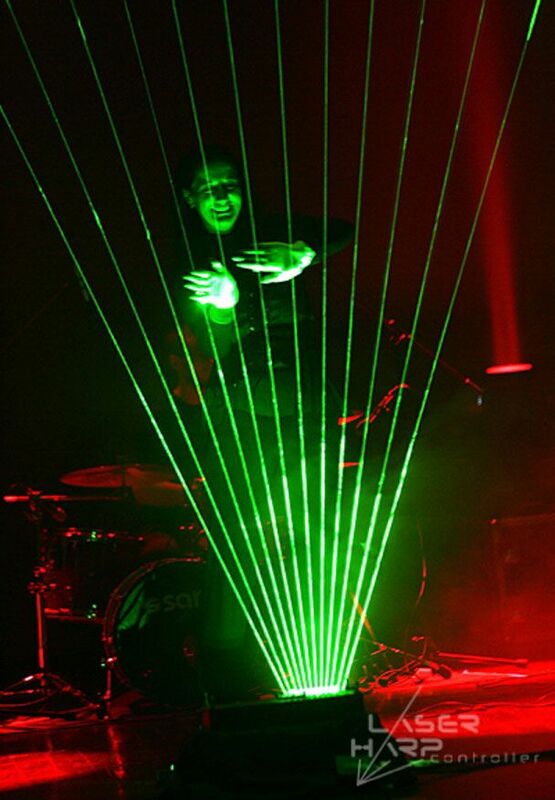 If you try to build your own laser harp and get lost trying to follow [Johan]’s instructions, don’t worry. His well-commented code and lovely schematic will undoubtedly save you. Then you can move on to open-beam designs. iSheep… They take perfectly fine photos with their 10 Petapixle cameras, then crapify them because iPhone. It is a very old cultural problem called “kitsch”. Seriously, is that all you have to comment on ??. His project, his choices. You are annoying. This thing has no sound and desperately needs an audio output. Using a Teensy just to watch some inputs is overkill and implementing DDS on that powerful platform shouldn’t be too difficult. It would be nice as a smaller, portable instrument with built-in sound output and speaker. LOL simple? So many laser modules and so little need, you just need one with a line lens rather than a dot! You can then even take advantage of that to cover more or less notes by moving in relation to the laser diode as well as side to side over the light sensors. hmm if you use a line lens, all light comes from a single point, so the beams are not parallel. How to you deal with that ? the only solution would be to curb the whole harp into a radial shape. No the sensors can still work at angles, but if you did curve it what a nicer object you would have, more like other instruments. Had a student who did something similar for his Bachelor thesis. He added two horizontal to get something like a normal piano – normal notes and seminotes, depending if he’s in lower or upper part of the harp. But his harp wasn’t MIDI, it played specially prepared sounds from the SD card. It could do that even on regular Arduino. It would be funny when he changed from piano notes to crazy monkey sounds.